First off, Happy Birthday to Mama Chou! A DIAO son like him could only have come from a DIAO mother like you! 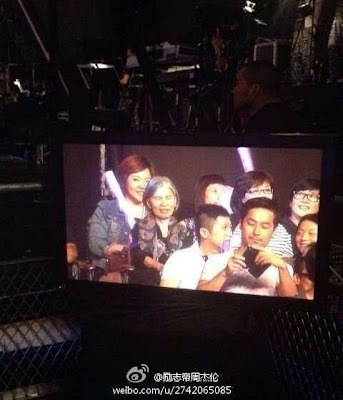 Mama Chou was at the concert, of course. 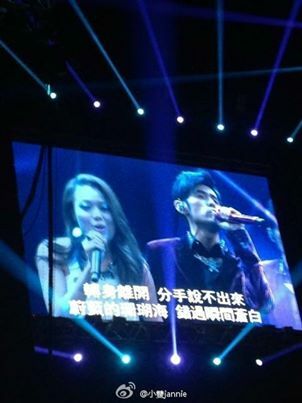 Yup, it was Joey Yung! 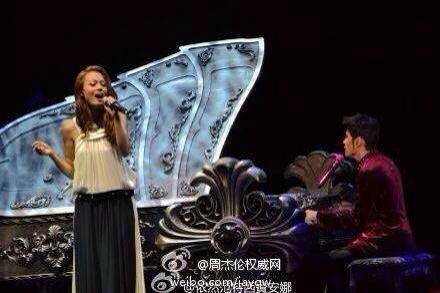 Jay had previously written a song for her in 2007 viz Xiao xiao 小小, a beautiful zhong guo feng song which is one of my faves which he wrote for other artistes. I'm so happy he sang this with her! Before that, they dueted on yet another of my faves, Coral Sea! She also said Jay looked just as young probably because he had lost weight. 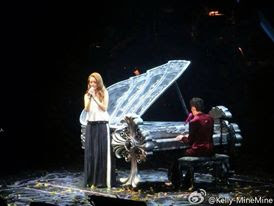 She also said that she had missed out on his first song for the night and that she wanted to see his abs. Jay said his outfit was a little difficult to remove and that he would show her in private later on...lol!